The Bonaval park is behind the Church of Santo Domingo de Bonaval (which houses the Galician People Museum, the Pantheon of Illustrious Galicians, and the famous staircase) and the CGAC, the Galician Centre for Contemporary Art. The Portuguese architect Alvaro Siza was commissioned to design both the museum building and the park. Santiago is a city with no shortage of greenery, but this spot has become a favourite of many locals. 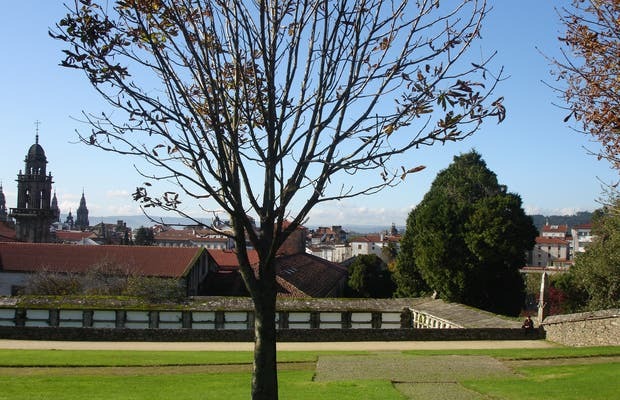 An ancient cemetery and the garden of the monks are the foundation of this park that offers views of the Basilica of Compostela that are quite different from the norm.